Keeping Play Counts In Sync on SoundCloud — “what might seem like a simple counting system is actually a cornucopia of services” .. and it involves Cassandra, HDFS, memcached, and Kafka! Interesting to see the dataflows in a high scale service like SoundCloud. Python Gains Traction Among Data Scientists — Though that’s not the whole story with R preferred in the retail sector and SAS in healthcare. ▶ A Technical Overview of Azure Cosmos DB — Azure Cosmos DB is one of the more interesting databases of recent years, being a highly scalable multi-model database. It’s Azure only, though there is a local emulator. 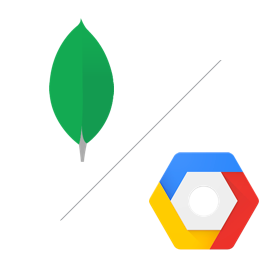 Now Available: MongoDB Atlas Free Tier on Google Cloud Platform — At MongoDB World 2018, Google Cloud Platform and MongoDB announced the general availability of MongoDB Atlas's free replica sets on GCP. Get your free 3-node replica set today. Gracefully Scaling to 10k PostgreSQL Connections for Cheap — A now-complete three part series (part 2 and part 3) on how a team of engineers have scaled PostgreSQL using PgBouncer and Kubernetes. Google Compute Now Has 'ultramem' Machine Types with 4TB RAM — Up to 160 vCPUs (a record for a public cloud) and 4TB of memory on a single instance are now available. Unsurprisingly, SAP workloads are a target for such scale. New Amazon EC2 Instance Types Announced: Z1d, R5 and R5d — The new instance types are all compute or memory optimized with Z1d instances optimized for the highest per-core performance and the R5 and R5d instances aimed at databases and analytics use. MapD's GPU-Powered Database Now Available in Google Cloud's Marketplace — GPU-powered database MapD is now available through the Google Cloud Launcher. AWS Kinesis with Lambdas: Lessons Learned at Scale at Trivago — Trivago built a serverless pipeline to replicate data stored in on-premise MySQL machines to AWS. HuskyDB: Windows Native C++ NoSQL Database — A lightweight document-oriented database optimized for Windows. kafka_fdw: Apache Kafka Foreign Database Wrapper for Postgres — Want to query Kafka directly from Postgres? This FDW allows you to treat a Kafka stream like a Postgres table.